Renisha Chainani of Edelweiss suggests buying crude at Rs 5,600 per bbl with stop loss of Rs 5,550 per bbl and targets at Rs 5,670 per bbl and Rs 5,680 per bbl on higher side. 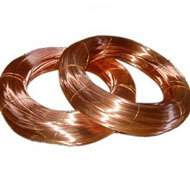 Sugandha Sachdeva of Religare Commodities advises buying copper at Rs 406 per kilogram, keeping stop loss at Rs 403 per kilogram and prices likely to edge higher at Rs 415 per kilogram. Dharmesh Bhatia of Kotak Commodities advocates buying gold at Rs 27,700 per 10gm maintaining stop loss at Rs 27,500 per 10gm and hold for target of Rs 28,250 to Rs 28,350 per 10gm. Sumeet Bagadia of Destimoney Commodities recommends selling lead. “Rise in prices till Rs 121 or Rs 122 per kilogram in MCX should be used as selling opportunity with stop loss to be placed at Rs 124 per kilogram on higher side for initial target of Rs 119 per kilogram and prices are able to break and give close below Rs 119 per kilogram then further selloff can be seen till Rs 117 per kilogram in two-three days,” Bagadia adds.